July | 2015 | Live Cheap, Feel Rich! 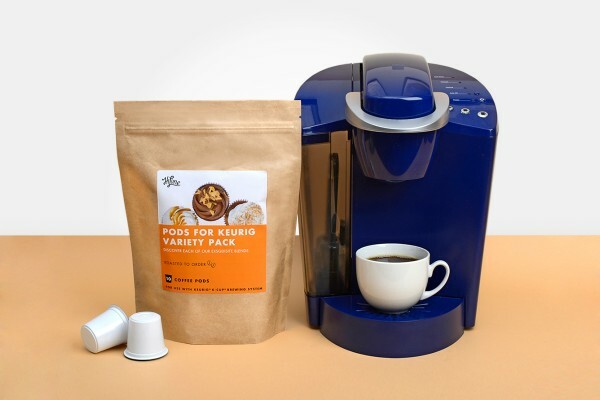 Wake up tomorrow morning with 10 FREE K-cup pods for your Keurig! HiLine coffee is giving away 10 free pods. They boast that “fresh coffee is the best coffee”. Apparently, your typical k-cup is packaged and sold to you without ‘roast dates’ – they could be months old, which obviously affects the taste. HiLine sells exclusively online, which allows them the guarantee of the freshest pods delivered right to you. With your free sample, you will be enrolled in their monthly service for 20 pods ($16.99/month). That being said, you can cancel the service at any time + there is a ‘love it, or your money back, guaranteed’. My advice to you? Check it out, see if you can taste the difference – 10 free pods! That’s 10 days of top notch caffienation. Enjoy! 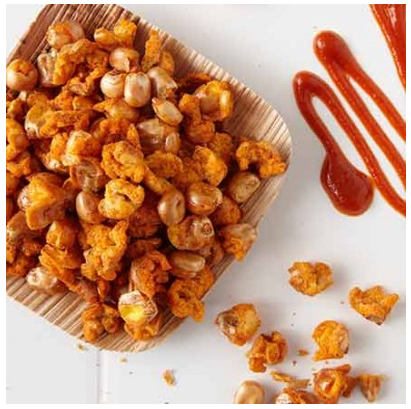 Maybe you have all heard of NatureBox, a subscription snack service boasting the highest quality ingredients in deliciously distinctive snacks you can find only through them. If you’re anything like me, you love sriracha and spicy things! These are…nothing short of awesome. 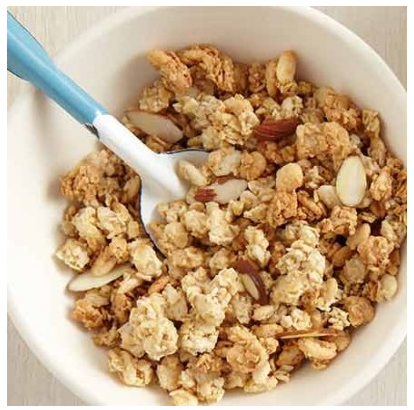 They are spicy + addictive, and clock in at about 170 calories/serving, which is more than enough quantity-wise. Not too shabby! These are so good that it is truly hard to put into words. 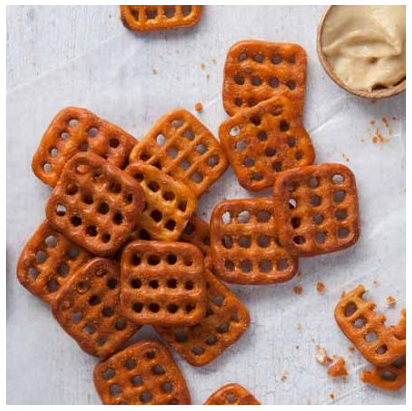 They are SO spicy and SO addictive – they’re like pretzels with an Asian spicy flare. You’ve got to try them to actually understand the party in your mouth that occurs when you eat them. Better yet, they are SO low-cal. A 16 pretzel serving only clocks in at 120 calories. Did I interest you yet? If not, seriously, check out the rest of their snacks, I’ve hardly made a dent! So here’s the rundown: you can get a FREE trial, where you get 5 tasty, pre-selected snacks. This DOES roll into a monthly plan ($19.95/month), but if you aren’t feeling this, you can cancel immediately, at anytime. In conclusion, give this a shot, decide if $20/month is worth it to you to keep getting these snacks (once you are done with the free trial, you can select whichever ones you want) – if you grow tired of it, cancel! It’s easy, it’s delicious, and it’s SO fun to get a box full of tasty treats in the mail every month. 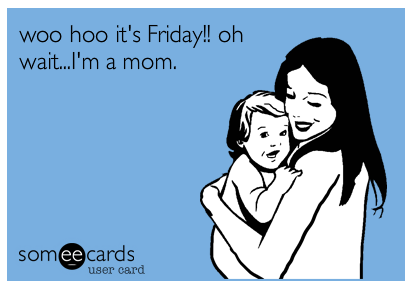 Here we are at the end of the week. Hopefully you all have some great things planned for the weekend with friends and family as summer starts to wane. The Anders’ will be trying to keep cool, but staying local this weekend – which gives us tons of time to spend some quality time together, organize the house, and prepare for the upcoming week! 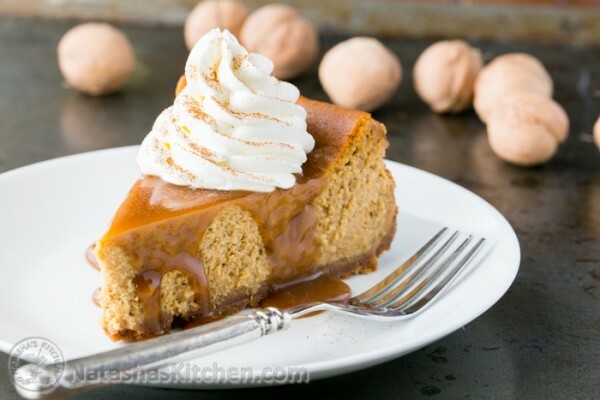 Before I delve into the awesomeness that is tomorrow’s “holiday”, #nationalmustardday, I wanted to remind everyone that LiveCheapFeelRich has a Pinterest board – it’s chock full of cheap recipes, DIY ideas, coupons & freebies, and, for your weekend family needs, some great ideas for inexpensive activities – be sure to check it out and follow! Now that that’s been said…let’s get down to business. Tomorrow is #NationalMustardDay! Frankly, as a child, nothing was more disgusting to me than mustard. At this time in my life, I cannot imagine so many things without it! I am a huge, huge fan – sweet, spicy, dijon, yellow – I love it all! I am hoping that some national deals on mustard will reveal themselves as today carries on into tomorrow, as none have surfaced yet. What I do know is that I’ve recently discovered some incredible new mustards in my life that I’d love to share with you. One of my very best friends lives in Toronto, CA. A few months ago, I paid her a visit, and we took a stroll through the St. Lawrence Market. I was awestruck by the Kozliks post – small batch, Canadian mustard of so, so many varieties. This stuff was incredible! You could try any of them by dipping pretzels in. I was so overwhelmed by how much I loved ALL of them, from the sweet to the savory, that I decided I’d need some time to reflect. Luckily, their online store has their entire selection. I’d recommend any and ALL of them – perfect for you or as a gift for a fellow mustard lover. Check these out guys! I’ll keep you posted 100% on any awesome deals I see going into #nationalmustardday! A few days ago, I blogged about the necessity (or not so much necessity) of cable and some other options that can help wean you away from unnecessary charges. Thought this may help get your feet wet! Redbox offers new-release DVDs, Blu-ray, and video game rentals through its vast network of conveniently located, self-service kiosks. There are about 35,000 locations nationwide, including leading grocery, drug, and convenience stores, + select Walgreens, Walmarts, and McDonalds’ locations. If you sign up for their emails to hear about new releases and deals, you get a free 1-day DVD rental! It’s a pretty awesome way to figure out if Redbox is a good service for you and your family’s media needs. Check it out! Found a great FREE sample for you all to check out today. Nivea is allowing you to request two different free samples of their products. The first is their Nourishing In-Shower Body Lotion. I’ve never heard of a lotion that you apply int he shower, but I’m pretty into the idea! Might as well do your entire beauty routine while in the shower and save some time! 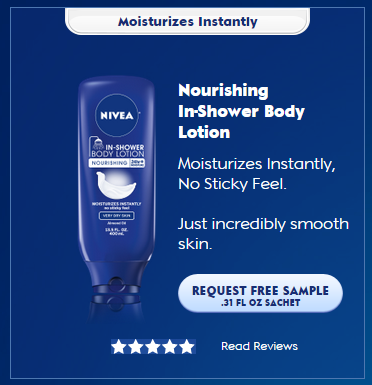 Nivea says that the in-shower lotion moisturizes instantly with no sticky feel – just incredibly smooth skin. All you need to do is fill out a quick form and you’ll receive a .31 fl oz sachet. The second free sample they’re offering is their extended moisture lotion. 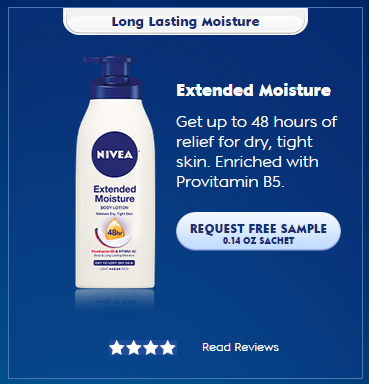 Nivea states that you can get up to 48 hours of relief for dry, tight skin, enriched with Provitamin B5. Again, all you need to do here is request a free sample by filling out a quick form, and you’ll receive a free .14 fl oz sachet. Click here for the link to request either (or both!) free samples from Nivea. I want to kick things off by letting you all in on some of the best nation-wide discounts in honor of today! Cheesecake Bistro by Copeland’s: All day on July 30, buy one slice of cheesecake and receive a free slice of equal or lesser value. You can also get $10 off the purchase of any whole cheesecake on this day. Chompie’s: At any Chompie’s restaurant in the Phoenix area, purchase one slice of cheesecake at regular price ($6.95) and get another slice free at the bakery counter. Guests can choose from several varieties, including Oreo, chocolate, classic and red velvet. Corner Bakery Cafe: Customers who visit participating locations in Pennsylvania and New Jersey will receive a free piece of cheesecake with the purchase of any entrée on National Cheesecake Day, reports Bucks Local News. Festival Foods: The Wisconsin grocer’s cheesecakes are on sale all week for $6.98 in honor of National Cheesecake Day. Peteet’s Famous Cheesecake: The Michigan-based cheesecake hot spot is giving the first 100 customers a free slice of cheesecake on July 30 at both locations in Oak Park and West Bloomfield. You can also get 20 percent off the rest of the day. Frankly, I’ve never heard of these other spots, and Cheesecake Factory is a bit of a hike for us. I’m certainly not above making my own cheesecake! Wanted to share some of my favorite recipes if you’re up for the challenge (not really, they’re pretty simple)! One of the problems with cheesecake is that it is so, so rich and filling, that sometimes you end up gradually eating an entire cheesecake over the duration of a week. Although you COULD stretch things to #nationalcheesecakeWEEK, I, personally, would rather not for the sake of my waistline. 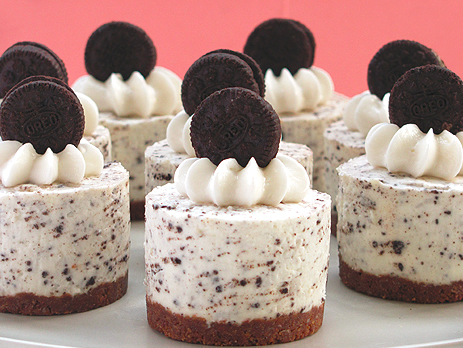 Here’s an awesome recipe for little bite sized cheesecakes (and it’s no-bake! Easy peasy!). 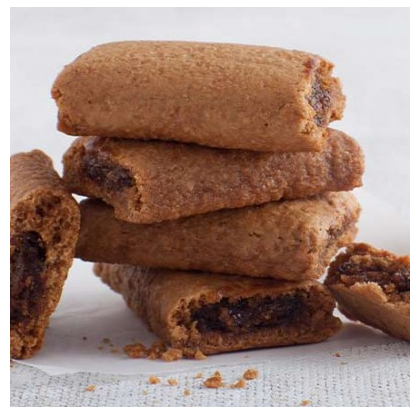 Bakers Royale‘s recipe requires a mixer and little mini ramekins of your choice. They boast that they only require 10 minutes prep – and then throw in the fridge for 6 hours (I know, give yourself plenty of time!) and you are all set! This one’s sure to please any cookies and cream fan!